The day is finally here, Showrunners, the feature documentary I spent a good chunk of 2013 cutting is being released into the wild. Slightly nervous about it but also very proud of the work as well. I just hope people like it and indeed support it. Irish Audiences can catch the film in the Lighthouse Cinema in Dublin and the Eye Cinema in Galway for this coming week. The film will be available in Ireland on Volta and on itunes in 2 weeks time but if you have the chance to see it on the big screen, its definitely worth it. This was among the hardest things I’ve ever had to cut, there is no doubt that feature documentaries are TOUGH but I would be happy enough spending the rest of my career doing them. In this case, I would not have been able to do it without the help from obviously both Des Doyle the director and John Wallace the producer but also Michael Higgins. Anyone you works with Michael know he can do just about anything, he was a great assistant to have on this film and helped us out of a hole on many, many occasions. Also big shout out to Mick Mahon, Shane Callan and everyone at EMC Post and Avatar for their contributions in the post process and indeed all those other people who helped the film out along the way. I think we’ve managed to make something that we can all be proud of. The film will be getting a limited cinema release in the USA from Oct 31, playing in selected cinemas in New York and Los Angeles and will be available to but from itunes as well. In fact it is already available on pre order in the US and Canada. That can be done here. 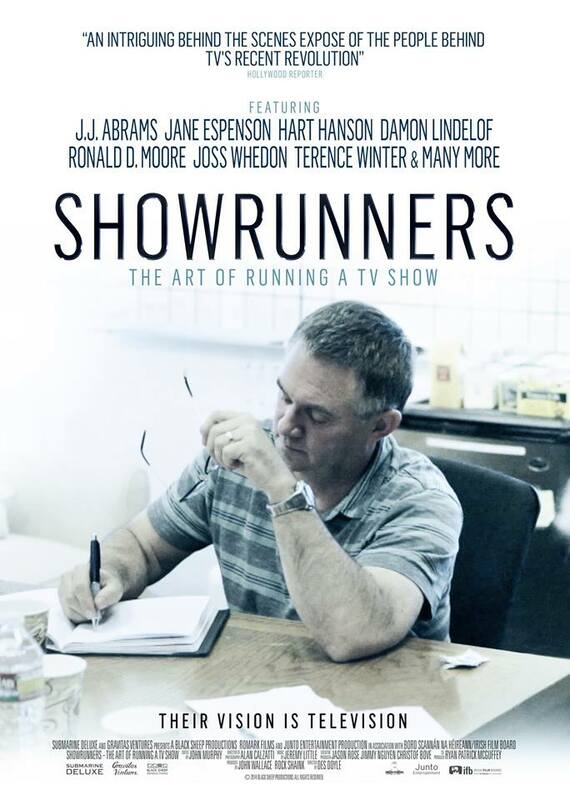 If that wasn’t enough showrunners, you can also order the companion book from amazon here. Its a really great book that compliments the film very well and is well worth a purchase. The book is also available to buy in Ireland from most good bookstores.